Welcome to Paul's Cycle Rescue web site! Santa Barbara, Ventura and North Los Angeles Counties. 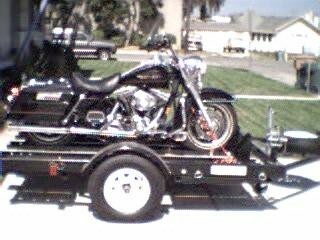 We have 40+ years experience of safely transporting motorcycles and motorcycles with trailers,side cars and trikes. 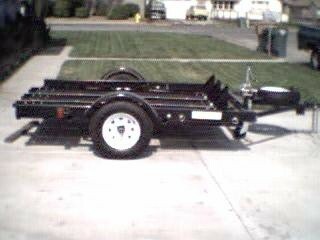 We use only motorcycle trailers, no flat beds. We have the best and fastest service in the Tri-County area. We are capable of minor repairs. If you need gas, have a flat tire and/or your battery goes South, we can assist you 24/7! - "Semper Paratus"
We do deliver to all Tri-County motorcycle dealers and shops. Long distance is available also! Please Sign In - Visitors always welcome! We offer the best service and ride your "Bike" has ever had!! We have references from shops and clients throughout the counties!